For many people Evergrey probably is already a known name, especially for listeners of progressive and/or melodic metal. In 2016 this Swedish formation, consisting of vocalist/guitarist Tom S. Englund, guitarist Henrik Danhage, keyboardist Rikard Zander, bassplayer Johan Niemann and drummer Jonas Ekdahl, released their tenth album, called The Storm Within. That album was the second album of the conceptual construct that started with Hymns For The Broken. On January the 25th Evergrey released a successor of The Storm Within. This eleventh Evergrey-album carries the title The Atlantic and closes the aforementioned conceptual construct. 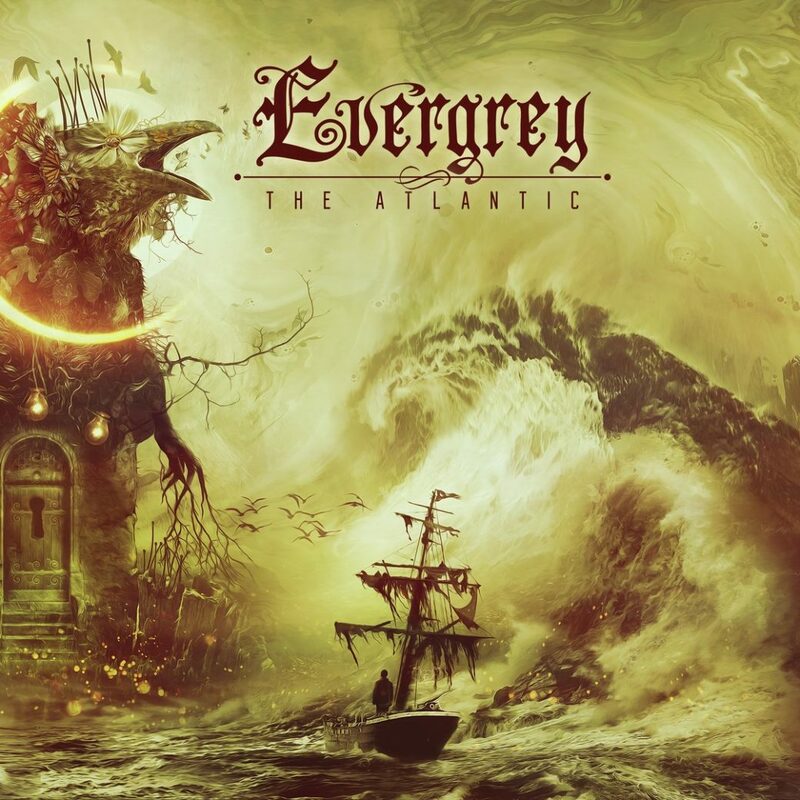 The Atlantic is the most heavy Evergrey-album to date. However it still contains quite some melodic moments in a typical Evergrey-way. Instrumentally more melodic and quiet moments can be found, but most of the melody on The Atlantic is coming from Tom S. Englund’s very recognizable vocals. The balance between melody and heaviness on The Atlantic is good, right from the first moments of opener A Silent Arc. After a short intro we hear strong drums, heavy guitars and a rumbling bass, which combined with each other even sound a bit groovy. Later the more melodic vocals and symphonic aspects are added and from that moment on the other instruments also show their more melodic side from time to time. There is very much diversity on this album, partly due to the many rhythm-changes. Weightless and A Secret Atlantis for example both start very pounding. A Secret Atlantis in a groovy way, Weightless in a more modern sounding way, also due to the added electronic influences. Later Weightless also contains a nice instrumental part in which the rumbling bass and great guitarsolo are especially standing out. Speaking about great guitarsolos, there are more of those to be found on The Atlantic, for example in Departure and The Beacon. Departure varies between a thundering but melodic sound and a very atmospheric, dreamy and sometimes even catchy sound, which will probably cause goosebumps for a lot of people when played live. A few times Rikard Zander also gets his more prominent moments with his keyboard. There are some parts in which the keyboard and vocals are the only things to be heard, like in End of Silence and Departure. In A Secret Atlantis he even delivers a nice keyboardsolo. The Atlantic also contains quite some electronic influences, as can be heard in for example Currents, End of Silence and the intro to the last mentioned, called The Tidal. The electronic influences on this album are surely an addition to this album while not being present so much that it gets annoying. In the end Evergrey closes The Atlantic with the spectacle at the end of closer This Ocean, in a way that is pounding and epic at the same time. A very nice end of a very strong album!